We encourage all customers to share their motorhome rental experiences with us on facebook. From music festivals to tours of Europe, we want to hear your stories and inspire others to plan the perfect motorhome holiday. We have a great range of motorhomes and campervans available to hire at competitive prices! From the 6 Berth - Swift Escape 686, the ultimate in comfort and luxury. 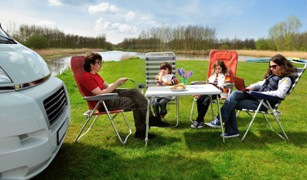 To the 4 Berth - Swift Escape 644, the perfect choice for family holidays. Planning the perfect motorhome / campervan holiday can be a little challenging. That's why we've created an easy step-by-step guide to help! Full of useful information, this guide covers all you need to know for the perfect motorhome holiday. Read the full article by David Hurst now! Read the full article by Gary Hixon now! motorhomes to make things even easier. Welcome to Chief Motorhome Hire. South West Motorhome hire & Campervan Hire in Devon, Cornwall and the South West has never been more popular, there's just no better way to enjoy the beautiful countryside and stunning coastlines Devon and Cornwall has to offer. With Chief Motorhome Hire you can take your motorhome anywhere you like as all our hires include unlimited mileage! For the adventurous and those seeking winter sun you can also take your motorhome hire into Europe. 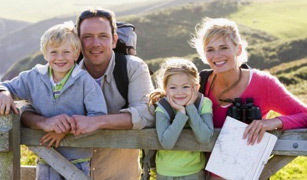 Nothing else will provide such a great sense of freedom than motorhome hire or campervan hire South West. Cruise through Devon and Cornwall at your own pace; explore Paignton and Torquay – The English Rivera, Exeter, Exmouth and beyond, taking every day as it comes to discover new places and hidden treasures. All whilst enjoying the warm comforts of home. Devon, Cornwall and the South West have so many great sites to see including the beautiful fishing town of St Ives, the 3 mile long beach of Perrenporth, the great Exeter cathedral or hop on the Ferry from Plymouth to Santander and explore sunny Spain. 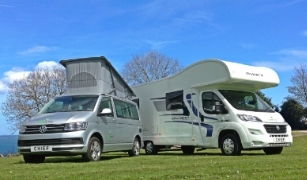 Whether its motorhome hire in Devon or a campervan hire in Cornwall you’re looking for with Chief Rentals you're in the safest hands; we're the South-West's Number One rental company and have been looking after customers in Devon, and Cornwall as well as Torquay, Exeter and Plymouth for over 20 years. We are well established and have been successfully growing and tweaking our fleet to over 450 vehicles. Our motorhome hire fleet has been carefully selected through customers needs and we are sure you won’t be disappointed. All our motorhomes are less than 2 years old are all fully kited out with everything you will need to get your holiday off to a great start. Think motorhome hire, Campervan hire, think Chief! If you are looking for Campervan hire for Glastonbury Festival then look no further! We have VW Campervans ready and waiting to go to Glastonbury 2019. Give us a call today 01803 520494 to find out more on how you can go to Glastonbury festival 2019 in style! VW Campervan hire is the way to go to Glastonbury this year. What's better than coming back to your own bed at the end of a long day? We can even deliver your campervan hire to Glastonbury festival so that its ready and waiting for you to arrive. Browse our fantastic range of motorhomes and campervans. Choose the vehicle that best suits your needs whether it’s a 4 berth motorhome hire in Devon or 5/6 berth motorhome hire for trip across Europe, we have got it covered! Call us on 01803 520494 or email us to arrange or discuss your hire dates and optional extras (to secure your booking we take £150 over the phone and will give you a call 6 weeks before the hire to take the balance). On the day of collection bring your documentation; pay the holding deposit of £750 and go through our checkout procedure. If you have your own vehicle, you can leave it with us FREE OF CHARGE Then hit the road and relax! We are devoted to customer service and make your trip the best it can be. Save upto 30% off selected sites! 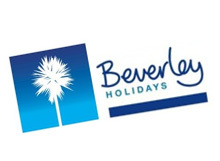 Free Caravan and Camping Privilege pack with every hire saving up to 30% off at selected sites. 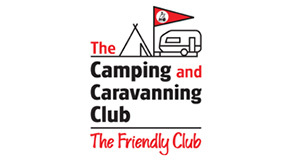 Visit the website: www.campingandcaravanningclub.co.uk. Need somewhere to stay locally? 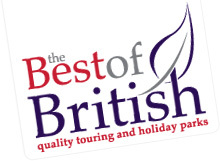 A great list of quality touring and holiday parks throughhout the UK.